I’ve been doing a lot of research to help me decide the best way to attach an Advanced Armament “Element 2” sound suppressor to a Ruger 10/22 rifle. 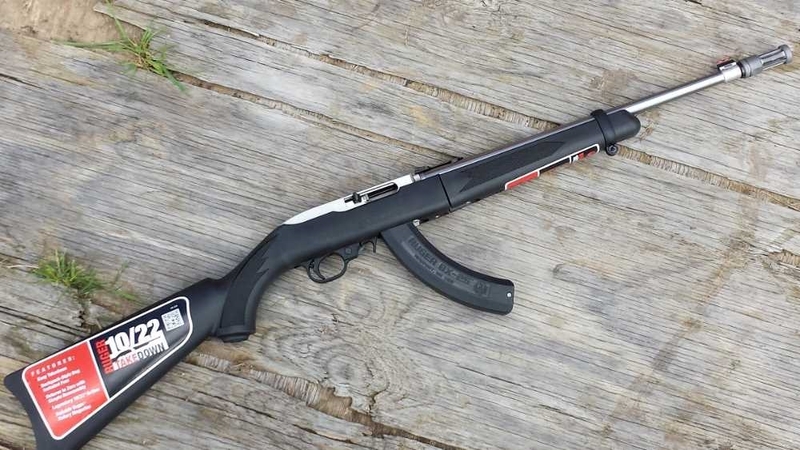 One option is to replace the stock barrel with an aftermarket threaded barrel. Most are .920 diameter “bull” barrels. These barrels are almost the same diameter of the suppressor and gives you a very clean, almost seamless look when the suppressor is attached. The downside to this setup is that none of the bull barrels that I found have sights installed. This isn’t really a problem if you plan on having an optic mounted on the rifle, but I would love to have the option of having iron sights should the optic fail (break or batteries go dead). Another downside to the bull barrel option is that you can’t use the original stock that came with the rifle. The wider .920 diameter barrel requires you to replace the stock with a new stock that is made specifically for the wider barrel. You will incur the added cost of the new barrel and stock and have the old barrel and stock that really don’t have any resale value. I just recently discovered JP Grips & Machine in Pelican Rapids, Minnesota. You can remove your factory barrel from your rifle’s receiver and mail it to them. They can cut the barrel back to 16.1″ should you desire, thread the barrel, set the factory front sight back to just behind the threads, crown the barrel, and return it back to you via Priority Mail for only $135. You will have a barrel capable of having a suppressor attached, that will fit into the original or other standard size stock, and you won’t end up with an extra barrel and stock that you won’t have any use for. Also, the 16.1″ barrel looks super cool. 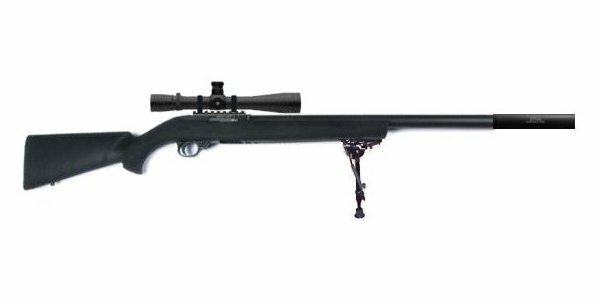 Addendum: Since I published this article Ruger has started selling Ruger 10/22 and .22LR caliber Ruger American bolt-action rifles with factory threaded barrels. If I were buying a rifle with the intent to suppress it then I would purchase a new one with factory threads. 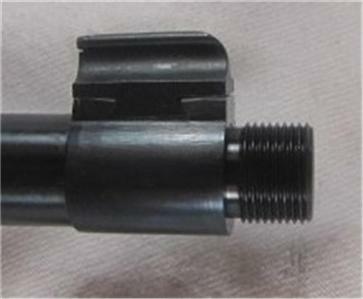 The slight increase in price for the threaded vs. the non-threaded barrel is less than what it costs to have JP Grips and Machine thread your old barrel.